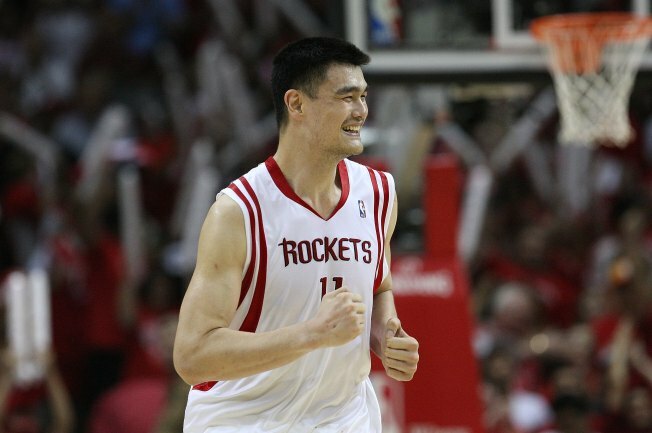 When a hungry Yao Ming is in town to play the Warriors, he crosses the bay to eat at Beijing Restaurant. It's not in San Francisco's Chinatown, or even on the west side in the Sunset or Richmond. Turns out that Beijing Restaurant on Alemany Boulevard in Mission Terrace stir fries Ming's favorites. A reviewer on Yelp posted a photo of the 7'7" basketball star along with the staff, who look tiny in comparison. How's the food? If Yelp reviewers are any indication, pretty darn good! Collectively, it's received four and a half stars. Jackson West hopes Ming's feet feel better.